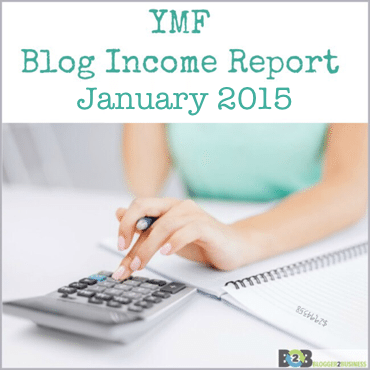 We love sharing your income reports on our blog. This is why we have our monthly link-up, where we can share income reports. This month, we rolled out our Time Management Course: Blogger Vs. Time because we know that YOU want to be making money on your blog and you just might not have the time. We are sharing the secrets to doing just that. We love to celebrate your successes with you, whether it be time, posts or income. Today, we are celebrating with Lena, as she shares her latest income report. here from WhatMommyDoes.com – I’m super excited to share my first income report on BeckyandPaula.com today. If you know me, you know I’m a bit of a procrastinator, so I am actually sharing my October 2015 income report in March. I almost didn’t since it was so late but I gained some insights from October that I am still excited about and can’t wait to share with you. I discussed advertising income in a recent income report on my blog, so today I would like to focus on sponsored posts. My October sponsored posts were with several agencies. My earnings were almost evenly split this month among Influence Central, MomItForward, Tap Influence, and IZEA plus a small social media campaign with CleverGirls. I had the opportunity to write about Depend Silhouette underwear (that one was really fun! ), American Express Serve (debit card), Sleep Number, Sprout organic baby food, and even Back to the Future! People ask me all the time if I like having a blog that’s about more than one topic and my answer is always YES! The mix of sponsored posts I wrote this month is a perfect example of that. I got the AMEX campaign because I have a large catalog of family finance posts and I got the Sprout campaign because my audience is mostly moms of young children. The Back to the Future campaign wasn’t a 100% perfect fit for my blog, BUT I was able to get that campaign based on my enthusiasm for the topic. I don’t know many people who are bigger fans of the franchice than me, and I think it showed in my application. I learned this month that really pitching yourself when you apply for sponsored posts goes a long way toward you getting selected. For all the posts I was awarded this month (with the exception of Sprout which was offered to me directly through TapInfluence), I made a point to pitch my exact idea for each post and also give examples of related posts I had already written. This way, the campaign manager could know what to expect from me (the social shares I can deliver, the types of images I can create, etc). My biggest takeaway this month other than the fact that pitches really do matter is that it pays to write about a topic BEFORE you ever get a sponsored post on that topic. If you come across a wonderful opportunity, it pays to show you have enthusiasm for a topic and that you can deliver a nice looking product. Although I didn’t publish a separate Sept. 2015 income report, I have stats from that month to compare October to. 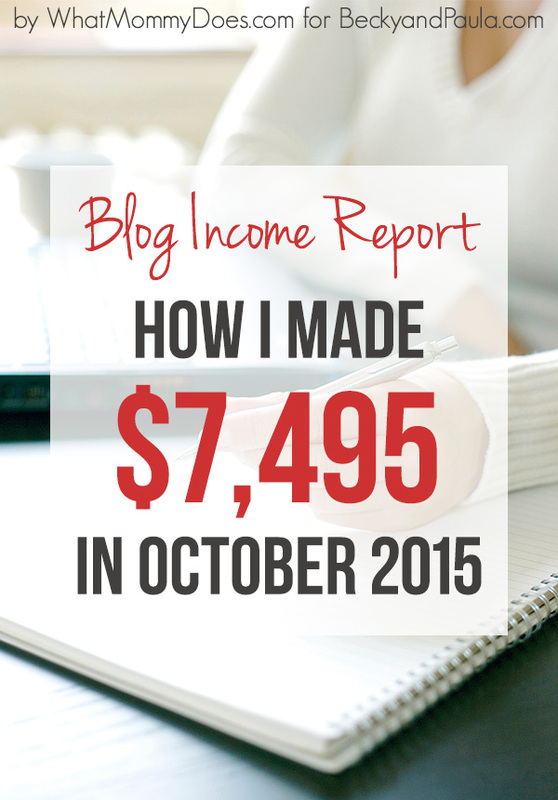 September income was $3,776 and my page views were 230,000. October income was $7,495 with 316,000 page views. Essentially, my page views increased by 37% while my income doubled. 1) In late September I spent a lot of time on the phone with my Media.net representative working on ad placements, sizes, and formats (cost per click and cost per thousand). We tested lots of different combinations and finally settled upon the mixture you see on my site now. October was the first full month of this particular ad mix, and I saw a nice increase in the $ earned per thousand visitors. 2) Traffic increased disproportionately to my monetized content. Many of my older posts were written with no regard to monetization – they were purely educational or meant to be entertaining. However, a good portion of the posts I wrote in the past year are all related to the various affiliate products I promote. And those are the posts that picked up traction this month, directly affecting how much money I earned. Seeing these overall trends encouraged me to sit down and think through a more comprehensive affiliate strategy and also work harder toward driving page views. When I look at my overall earnings per thousand visitors for 2015 up to this point, there is a cleear correlation between blog traffic and income potential. I have consistently earned between $16-$20 per thousand visitors. So more visitors = more income. 1) Sponsored posts are a funny thing. Earlier this year, I was wishing and hoping that I would even get one sponsored post per month at $75. This month I had to turn down some opportunities and not apply for quite a few because I couldn’t feasibly complete them all. I feel like 300,000 monthly page views was some sort of sponsored post sweet spot! I raised my rate this month across the board, and it has slowed down the offers and also ensured the ones that do come through are worth my time. 2) I feel like I got a little bit better at selling without being “salesy.” It’s always been a huge turnoff for me to try to get my readers to sign up for something without feeling like I’m being pushy. This month I found myself going to a more “soft sell” approach where I write a lot about a topic and give the reader the option to take advantage of an affiliate offer or continue to more related content without taking action. This has helped my page views overall and also made me feel better about my monetization efforts. 3) The best thing that happened this month is my blog earnings allowed me to invest in a friend’s business when they needed it most. The money we earn from my blog is extra in our eyes. We tithe on the earnings and then use the rest for non-essential expenses like vacations, home repairs, and investing. It was so nice to be able to help a friend in need and put our money into something we believe in. Well that’s it for now – I hope you liked this summary of October 2015 on WhatMommyDoes.com. Maybe Becky & Paula will have me back in a few months to recap December or January…that’s when I introduced my fourth income stream to the mix. It’s from my own product….an ebook about blog traffic strategies. 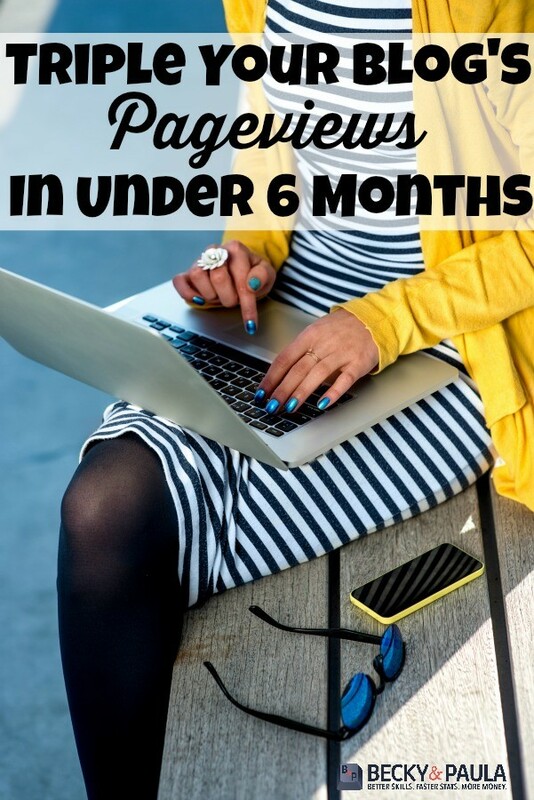 I went through a lot of trial and error in 2015 to take my blog from 17,000 to 350,000 monthly page views, and this book details my journey so you can follow along and try what I did! This information was very helpful to me. I have been reading about how to start up a blog for about a year and I have been afraid to do so. I just started yesterday and I know that it is going to take some time, but I will enjoy the ride in the meantime. Your information was informative and easy to understand for a newbie like myself so thank you for sharing your wealth with us! I’m so glad that it helps!